38 birthday good wishes? Woa, thanks guys. You made Kite blush i’m certain. An imperial cameo for Ethan. Someone who like to decorate his dragon and is overprotective of it’s well being considering it’s a warmount. That is a bellydancer silk scarf around the neck of the dragon. What? the dragon want to be pretty. Next on the list is the demon prince Sindas. Then it’s Cacbolg. Then it’s the two old cameo, Pariel’s Randiirk and Nagimalice’s Nirael together. 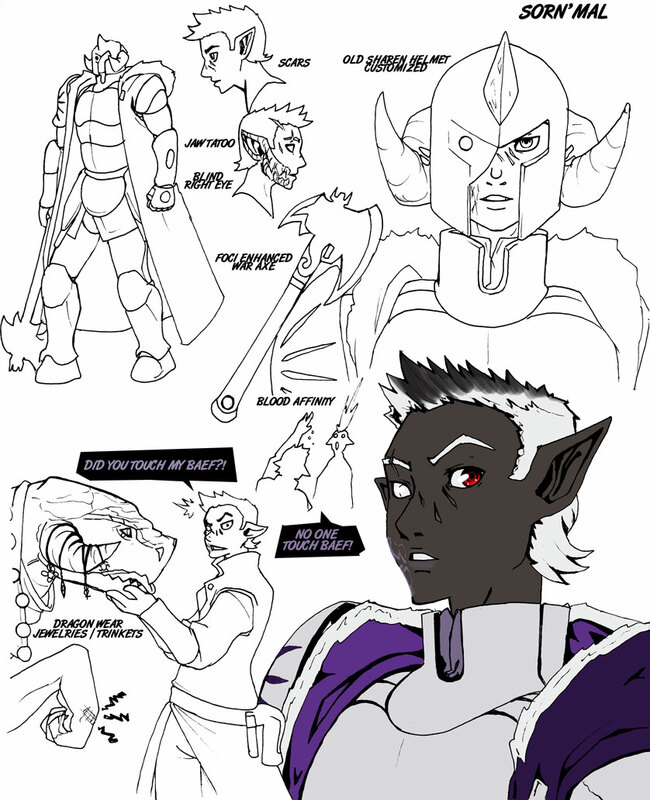 Then it’s Sorenshadow’s reka concept art commission(no cameo). hopefully tomorrow i won’t feel ill. Anybody else changing from night to day schedule feel like puking all day long after the change? Happens to me everytime. Maybe i’m just getting old. I have a strong feeling his dragon is going to die in chapter 39…. Finally someone who uses an axe. When I make myself change from night to day instead of being lazy and staying on night schedule, after finally sleeping (and after I got these pills to reduce this acid issue, stupid work conditions and schedule making that worse), I find I’m the opposite of pukey. In fact, I want to eat everything in sight. Without the pills though, I could either be hungry or my stomach would feel so burney-ick I couldn’t stand the smell of anything. anti-acid. kite use those. I’Ll take one next time i change sleep schedule then.T hanks. If it is only just after you change, then yeah, some stronger antacid might help.